Dec. 5, 2018 – Thistle DKI proudly announced their second consecutive year participating in 98.5 KLUC FM’s Annual Toy Drive to support their local charities. 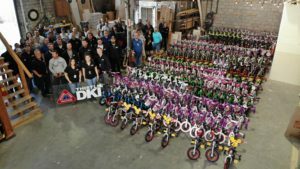 On November 30, the starting date for the fundraiser, the team at Thistle DKI hosted a bike-build and invited vendors and clients to participate. 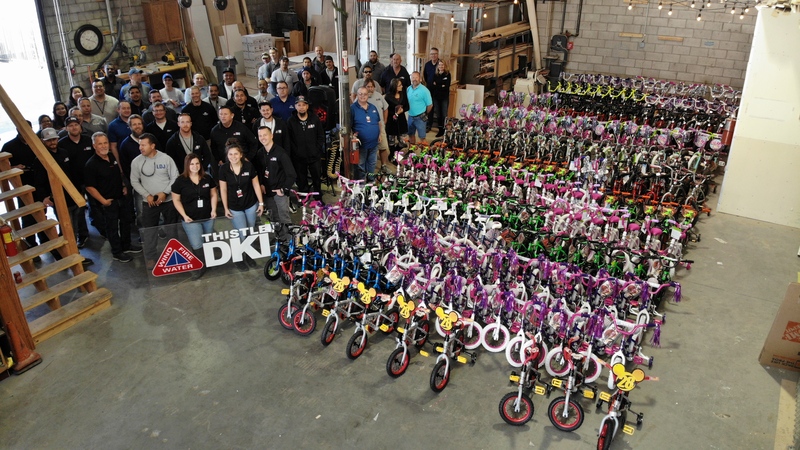 With close to 100 attendees, they successfully built 212 bicycles to donate to the toy drive. “With the tragedy at the Route 91 Harvest Festival last October, it inspired us to get involved in the community,” said Ryan Thistle, CFO. The toy drive is being held through December 10. All donations will be given to Help of Southern Nevada to distribute amongst 30 different charities that assist families in need during the holidays. Thistle DKI is a member company of DKI, North America’s largest disaster restoration contracting organization. They provide quality remediation services in Las Vegas and its surrounding areas. Call their 24-hour emergency response line at 702-871-8462 or visit www.thistledki.com.